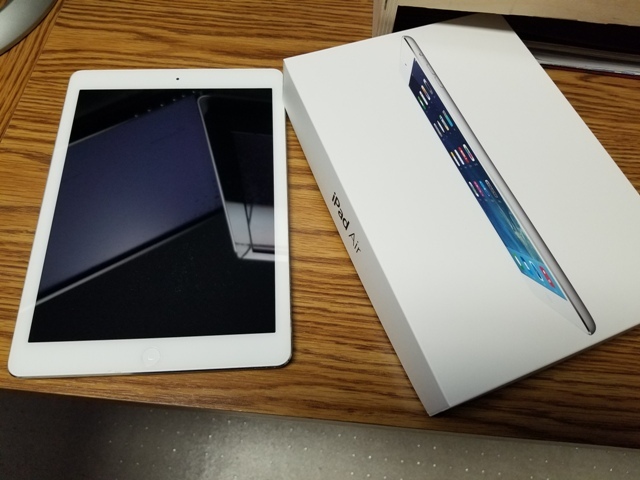 iPad Air (2013 1st Gen) 64GB WiFi SOLD Sold! 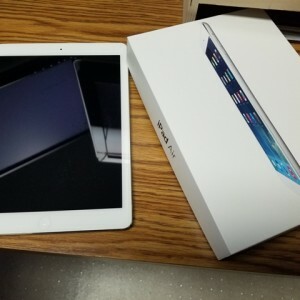 iPad Air (2013 1st Gen) 64GB WiFi, silver w/white bezel. Used, original owner. In original box with original 10w charger and cable. This iPad is in very good shape. Never had any issues with it...selling due to upgrading to a new iPad Air 3. This iPad has had a case and cover since it came out of the box (case/cover not included). Metal back has some typical minor wear (smudges and a small scratch or two). There is a tempered glass screen protector on it, which went on within 10 min of it coming out of the box. The screen protector has a small chip at the bottom, but the screen itself is in perfect shape. The screen protector can easily be replaced for under $10 on Amazon, but the chip never bothered me enough to do so. Has the latest iOS on it but has been factory reset so it's ready to set up as if it were a new iPad. Asking $150 shipped, to US only.